This series is based on the first chapter from Shiv Aroor and Rahul Singh’s book “India’s Most Fearless”. Mumbai, Date: Applause Entertainment, the content studio from the Aditya Birla Group headed by Sameer Nair, is set to bring a gritty, realistic and dramatic recounting of the recent Uri terror attacks onto the web. Keeping to its promise of delivering premium quality shows with relevant topics, they announced India Strikes- 10 Days, a multi- season web series with a talented cast and show runner Samar Khan of Irada Entertainment. 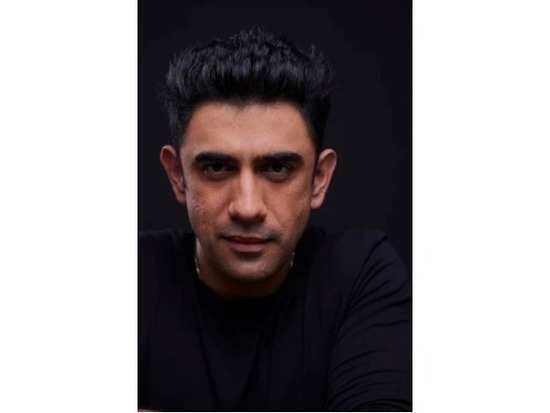 The show announces its leading star as Amit Sadh for this much-awaited series. Having made an impact with his performances in films like Gold, Sultan and Kai Po Che, and the web series Breathe for Amazon Prime, Sadh is a very popular and versatile actor. This series is based on the first chapter from Shiv Aroor and Rahul Singh’s book “India’s Most Fearless”. The incident is fresh in the mind of every Indian - Pakistani militants had attacked the Indian Army brigade in Uri, Kashmir on 18th September 2016. Making a marked departure from diplomacy and protest, the Indian government gave a clear message to its neighboring state. Displaying a zero-tolerance approach to terrorism and unprovoked violence, Indian Armed Forces selectively retaliated by attacking terrorist camps across the Line of Control. The series is being directed by Raj Acharya, who has previously directed The Battle Of Saragarhi on Discovery Jeet, and was also the assistant director on Talaash. Harmanjit Singha, Sudeep Nigam, Abhishek Chaterjee, Aadhar Khurana are the team of writers who have scripted this ten-part thriller. India Strikes – 10 Days begins filming soon in Mumbai and Kashmir, and the show is expected to stream early next year. Applause Entertainment has been in the news for an exciting line up of upcoming shows that includes ‘Taj – A Monument of Blood’ with Contiloe Pictures, ‘Hasmukh’ with Ranvir Shorey, Vir Das and Nikhil Advani, ‘The Scam’ with Hansal Mehta, ‘Criminal Justice’ & ‘The Office’ with BBC, ‘City of Dreams’ with Nagesh Kukunoor, and has over 20 premium shows lined up for the year. From Priyanka Chopra to Beyonce, this hairstyle has taken the celeb world by storm! What favourite food of Meghan Markle’s has the Queen banned in the Royal Palaces? Ace designer Manish Malhotra’s house party was one huge star-studded event! 2From Priyanka Chopra to Beyonce, this hairstyle has taken the celeb world by storm! 5What favourite food of Meghan Markle’s has the Queen banned in the Royal Palaces? 6Ace designer Manish Malhotra’s house party was one huge star-studded event!